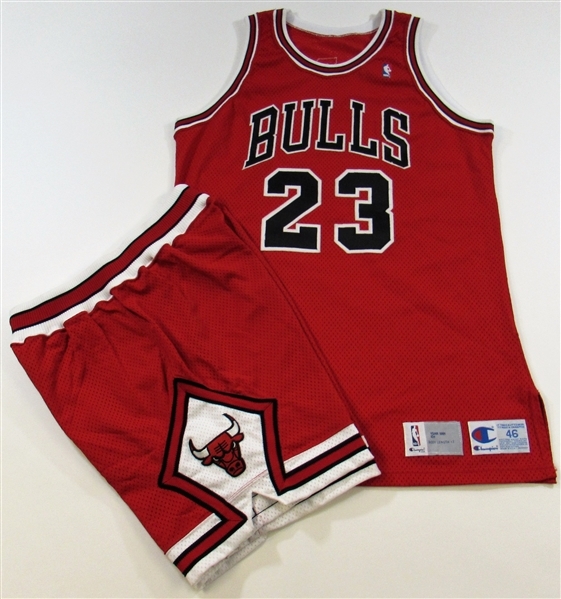 This jersey ensemble was designed for Basketball legend Michael Jordan during the 1991-92 season. 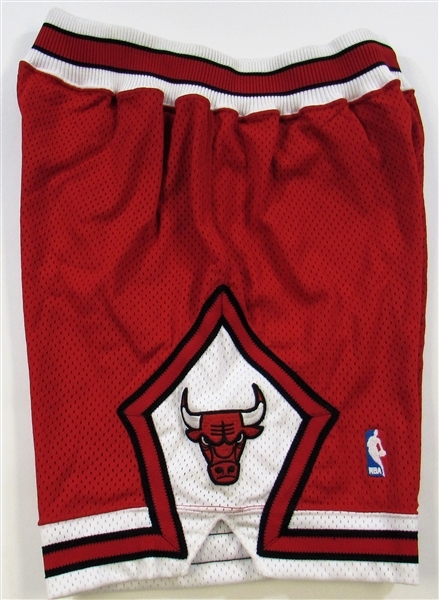 Jordan was the best of the best capturing 5 MVP awards and leading the Bulls to 6 NBA championships during his 15 year career. 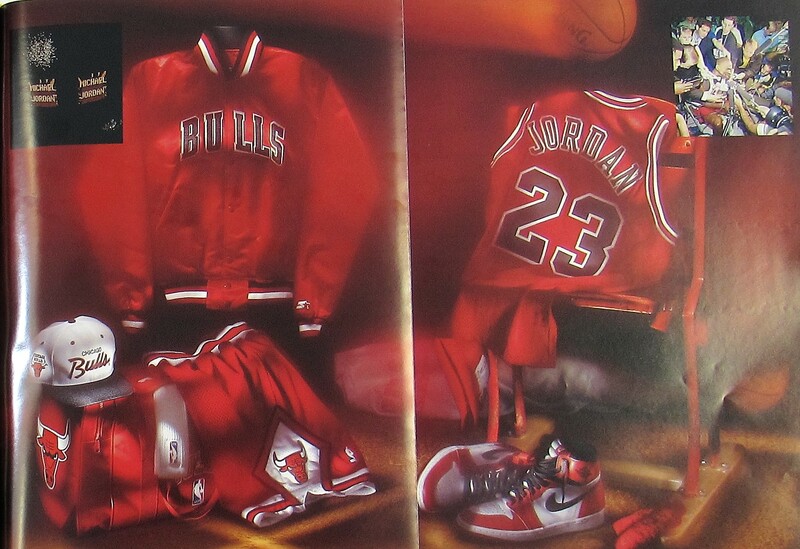 The jersey ensemble was featured in the pictorial book "And Now, Your Chicago Bulls: A 30 Year Celebration" by Roland Lazenby. Both the jersey and shorts are tagged correctly for use in the 1991-92 season but the ensemble was most likely never worn by Jordan because of the placement of the nameplate. Jordan specified the nameplate be at least 6" from the collar and this jersey measures 4". 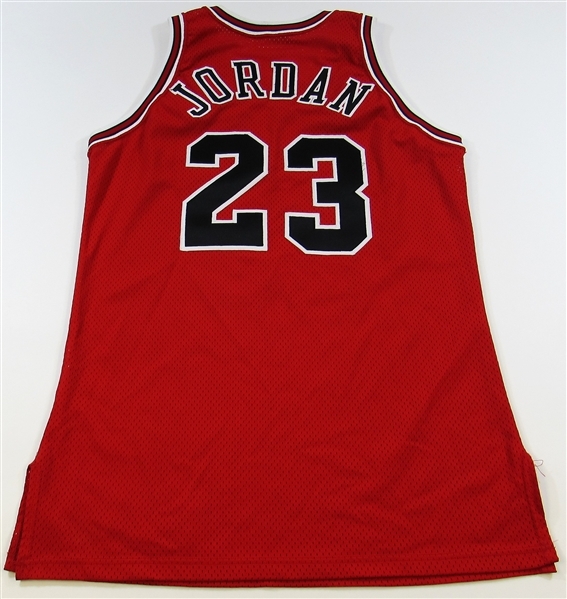 Despite the fact that Jordan most likely never wore this attractive jersey set in a game it remains an attractive pro model relic from the heart of his legendary career!!! Very nice lot!! !